This is a small nest discovered 10/28/2017 on a short ridge that separates the main river from an overflow channel. 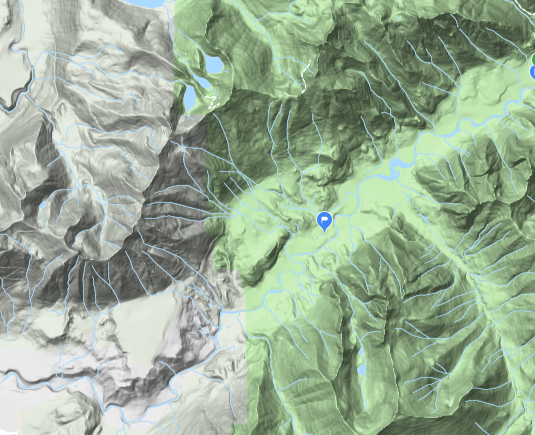 The general area is several miles into the mouth of a collective river valley that climbs to average peak elevations of 4000 and 5500 feet. 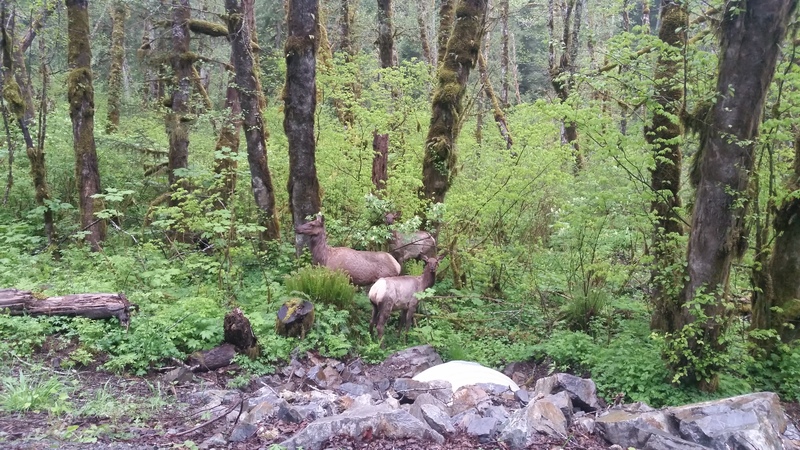 The nest site was discovered at the bottom of the valley roughly at 920 elevation, over a mile down stream of another river valleys convergence point. Photos of localized plant damage and nest. Photos from previous trips into the area. 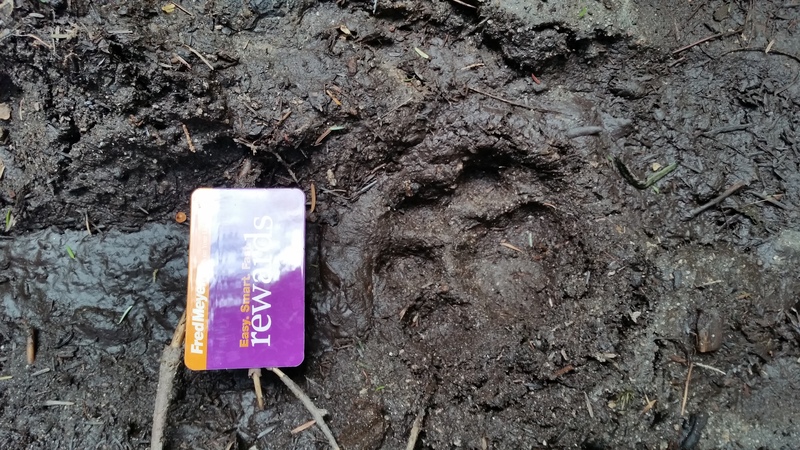 Have you seen any tracks or other sign in the area? Yes, we have found large impressions around this location and about 3 miles deeper into the valley upstream. There are several reports from the area, road crossing of a male and female and a more recent track discovery. Area apex predators and quarry confirmed? Check. It is hard to tell from the photo just how "organized" that possible bedding site is, but I would consider that black bear have been known to leave that kind of imprint, and even to accumulate forest duff and leaves for that purpose. Here in the South where I live, they will even "hibernate" using that technique in milder winters. Don't know if that holds true for your area, but it "bears" ruling out. Nathan the picture just above the one with the Fred Meyers card has something interesting in the distance just right of the larger tree in the center of the picture about a third of the way from the top. . Have no idea what it is but when I enlarged the picture there is something strange there. No suggestion it is a BF but my eyes went right to it when I first saw the picture. What was your reason for publishing the picture? 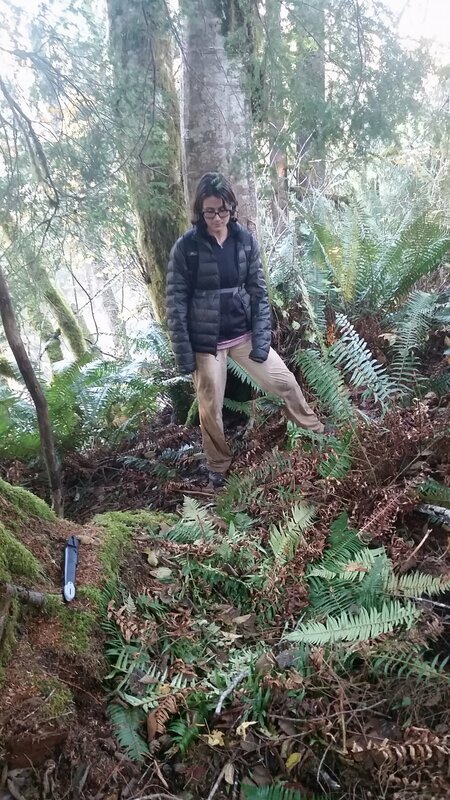 It was an old growth stump, there was several down slope. I included the additional photos to give example of the area. Nice find! Be careful with cougars out there. Your packing right? The first thing that comes to my mind after watching your video and looking at the photos of the ferns is it looks like a mountain beaver might of did it. Was there a mountain beaver hole/s nearby? I have a nice little EAA 357 with a 2 & 1/4 snub, that is my trail piece. I found a den under some tree roots and wondered what it was since the burrows were fairly large. 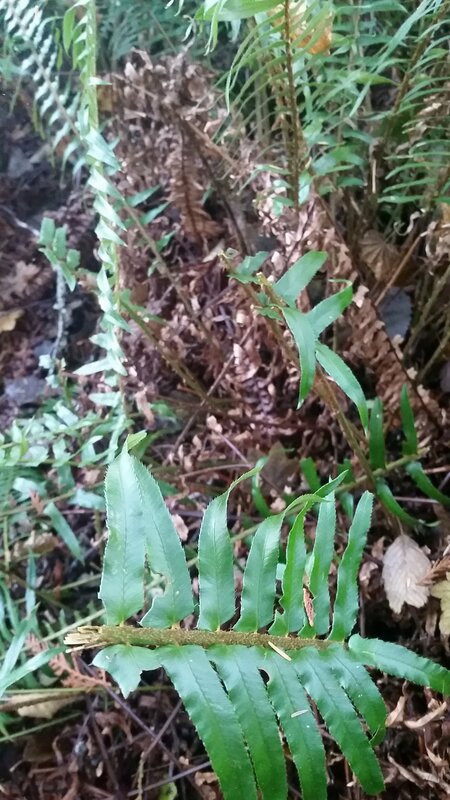 It was right in the middle of a bunch of sword ferns. Now I know. It was very near a BF encounter location and I wondered at the time if the BF were interested in what was in the den. It almost looked like something had been trying to get at what was in the den by digging it out. Of course that could have been any predator. Nathan, great find! Was the location in old growth, or had that specific location been logged before? If it has previously been cut, how long ago? 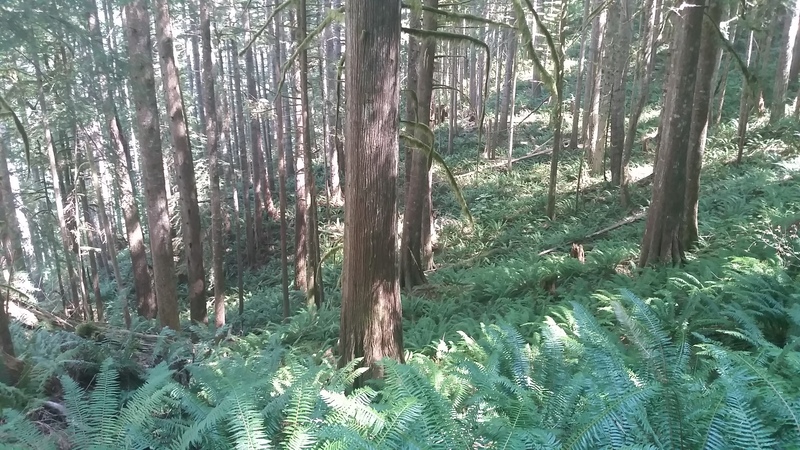 The area does have sections of old growth up another 180 vertical feet in elevation only about 2000 feet to the north west of the exact location of nest, the slope rises to a bench that after several hundred yards begins to climb. This particular section had a mix of regrowth ranging from 20 to over 100 years in age. We did pull hair samples from the location and we will have them visually examined in the near future. The blue pin mark represents the nest location in the image. If this nest was not constructed by a Sasquatch then it still is remarkable as I have spoken to numerous biologists who all have said they have never seen a nest appear to be this deliberately constructed. If a bear constructed it, then this would be a level of construction not well documented or published prior. Interesting to say the least. I have come across mountain beaver holes and foliage collections and I can say with a strong degree of certainty that there is not a chance that those little guys could have made this nest. For all of those who do't know, twisting an ankle is very easy if you are walking in the areas these guys spend their time. How many hairs did you find? For any of these nests being discovered, if they really are BF nests you'd have to imagine there would be hair everywhere, not a couple here and there. I think that is hard to say as we have no idea how many times it was used, I am fairly certain it was reused at least once as there was both fresh and old vegetation used in the padding. The surface fronds for the most part where fresh and some the fronds toward the bottom showed wilting and degradation. I think we collected 5 or 6 hairs in good condition. There was more throughout the nest and I admit we did not sift through the site in detail to pull more. We did deconstruct the nest layer by layer to understand how it was made and found a springy frame of sticks and limbs underneath that acted as a support under the foliage. There would not be enough to support any form of weight but they would keep a degree of thermal transfer from taking place.